The Quik Shade 4-Wall Canopy Kit makes a great addition to your high quality Quik Shade W100 or C100 canopies. Designed specifically to work with these straight-leg canopy designs, each package includes all four walls: three regular walls plus one that includes a zippered entryway. 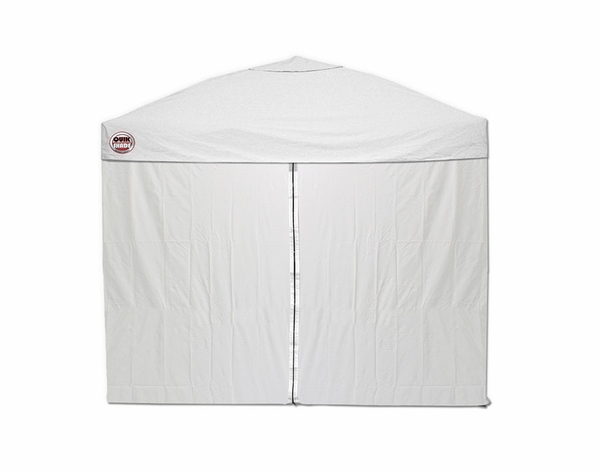 Easy to assemble (with hooks and zippers included), this 4-Wall Canopy Kit lets you enjoy the pleasures of being outdoors while protecting you from insects and an overbearing sun. Will these walls fit my 9' by 10' Quik Shade canopy, model number 001JU? The walls are only guaranteed to fit the Weekender 100 and and the Commercial 100 models only.